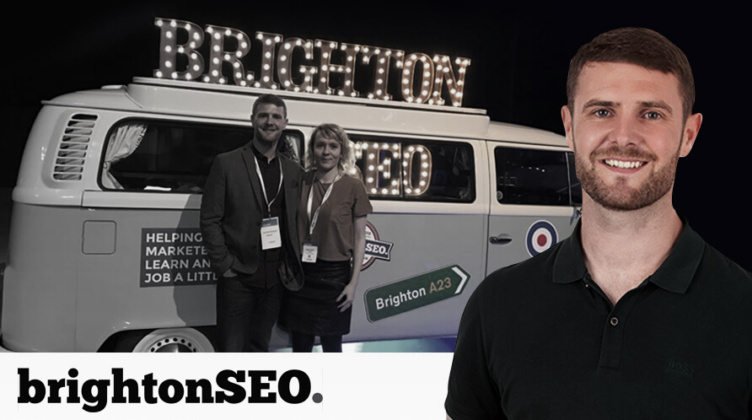 Our Founder, Gareth Simpson, is going to be giving some of his world-class outreach knowledge away at April’s BrightonSEO on his Advanced Link Building and Outreach Training Course. As Early Bird ticket sales are coming to an end this week, it felt like the perfect time to sit down with the man himself and find out a little bit more about his course, link building, and why machine learning is something that he’s excited to talk about…. So Gareth — what made you specialise in link building instead of a different SEO discipline? I first got into it when I discovered I had a bit of a flair for link building — I was getting a lot of positive feedback from the brands I was working with. At the time, there was room for more high-quality link building. As search engines started to educate the industry about links and the importance of user-friendliness, some people and agencies stepped away. This meant there was a niche to fill for those who wanted to develop their link tactics. Links are one of the hardest SEO tactics to get right, but they are also one of the most effective ones, so links felt like a good thing to become a specialist in. Now that the difficulty level has gone up, there is more opportunities for us link builders to stand out in the SERPs— the difficulty level pushes us to innovate and try new things. I am all about bringing links together with other disciplines like UX, technical SEO, content marketing, customer experience — links don’t (and shouldn’t) exist in a vacuum. Links should work as a concurrent activity to other marketing and branding disciplines: it’s not just about links for the sake of links. What results can SEOs expect from link building in 2019? Because the difficulty of building links keeps going up, it makes good link building very powerful. Links are still one of the most heavily weighted SEO ranking factors, so building links will continue to be a powerful strategy moving forward. That said, because the algorithm changes constantly, the future of link building is notoriously hard to predict, so we all need to look at the way the algorithms are reacting to the links we build and keep innovating in order to stay ahead of the curve. Testing and measuring are super important. Our biggest and best tactics from two years ago are now some of our lowest value ones. Many link types and link building tactics have been phased out by the algorithm because people haven’t innovated and kept up with the times. How has your approach to link building changed over the past couple of years? I have focused less on scale, and more on the quality of links — high authority sites and links are worth thousands of low-level links. We still do scale — but we do it judiciously. It’s all about the efficient acquisition of more powerful links. I’ve taken inspiration from traditional PR and leveraged the discipline’s techniques for link building. As a result, I’m focusing more on the story behind the links, building better link magnets, developing relationships with influencers and, of course, hiring the right people. I have bolstered our team with experts in fields I had little experience in as I knew their experience could help me build better links. Tiered links (building links to links) is also another important tactic. It’s all about looking at links from a holistic point of view. Is link building still a cost-effective SEO strategy? Absolutely. When we compare ROI through link building to other channels, there’s no contest. ROI for link building can often reach the thousands, whereas PPC is typically in the low hundreds (%). The main reason for this is that PPC ads are one click and done for most users, while links are semi-permanent and offer a better potential for exponential growth. Once you build a link, it keeps adding value. For enterprise brands the focus should be on (if gaining links naturally), how to expedite link acquisition, and how to mold links so they impact the right areas of site. Smaller businesses should be looking at building more locally focused links and doing more link building inhouse to conserve quality. What can people expect to take away from your course? To learn actionable strategies that will help make link building commercially viable for your business. We will cover ways of future proofing your link building efforts: a big focus will be how to do this stuff safely…plus you’ll walk away with tactics and templates to help you implement it yourself. I will also cover tips for using advanced technology such as machine learning and text classification to support your processes and bring down internal costs. Communicating the value of link building across an entire organisation is something I want to champion. Getting buy-in for links at an enterprise level is a big frustration as they often don’t take link building seriously. For managers, I will be offering training for creating a team that is able to deliver a successful link building strategy. This includes tips for making teams more link aware, spotting viable opportunities, and how to build even better campaigns via robust measuring and reporting practices. What can you expect to take away from Gareth’s course? Make link building more commercially viable. What tactics are you most excited to share/talk about? If I had to narrow it down to one topic, it would be machine learning. The first time I heard about this tech in relation to link building was at the outReach conference 18 months ago off the back of a presentation by Mike from iPullRank. Back then, I admit that I was skeptical. Fast forward to now, and I believe that machine learning not only brings link building into the future, but makes it a more cost-effective and scalable tactic. There’s a huge opportunity here for marketers and link builders to embrace this stuff, and there’s a lot of off-the-shelf software to help expedite the process. I am implementing some of this stuff myself and doing my own R&D and I’m seeing massive potential for speeding up mundane tasks like data processing. How will your course help SEOs get value from link building, without raising any Google alarms? Google is always changing, updating, and improving, but the one constant is their focus on authority, relevance, and trust. The user experience remains of paramount importance. Link building is about making sure there is a clear motive for the link. Make your links clickable, keep them user-focused, and make sure they add value. It’s about being link aware and knowing where you are already link worthy (and where you are not). One strong link is worth 10,000 crappy ones, so focus on quality. How can SEOs use link building in unison with other digital marketing channels and tactics? All channels and tactics need to be joined up — this is so important. PPC and PR should be talking to SEO, and vice versa. For example, content teams need to know how to build in-content links. Teams should take a more active stance in link acquisition, especially when it comes to molding the user experience with internal links. Think about how you can use links to remodel the site and control the experience much like email. How do you see the future of link building and how important will it be in 5 years time? It will be less important in its current form, as links will be validated more and more by user experience and user behaviour. (Clickstream data is already being factored into the algorithm: user behaviour will be the new links). Digital will be the default, and PR and SEO will have even more synergy in order to breed new PRs who are going to win the modern link building game. Links will always be important, but referral traffic from links will grow as a channel (and become a way to validate the links themselves). In essence, the way links are valued will change. Google will get better at identifying genuine vs. built links and will focus its efforts on links that bring genuine value. Thanks for sharing Gareth — sure there will be plenty more to come at your course. 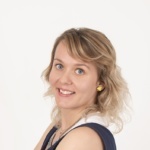 Interested in learning more about advanced link building topics? Come see Gareth speak at BrightonSEO on April 11th, 2019.